Just to inform our members of the wonderful news from The Kennel Club 88th A.V. Spaniel Championship (Excl. Cocker Spaniels) held on the 15th 16th & 17th January 2018 in Queensbury Estate, Scotland. The total number of dogs competing was 61, Including 6 dogs from Ireland and all of whom excelled and for such a small contingent the achievements were brilliant. Mick Walsh with Int. F.T. Ch. Hollydrive Sally was awarded 1st place at The K.C. A.V. Spaniel Championship 2018 (UK) to add to her 2nd in the I.K.C. A.V. Spaniel Championship, Dec.2017 (Ireland). Des Donnelly with Int. F.T.Ch. Hollydrive Abbey was awarded 2nd place at The K.C. A.V. Spaniel Championship 2018(UK) to add to her D.O.H.in the I.K.C. A.V. 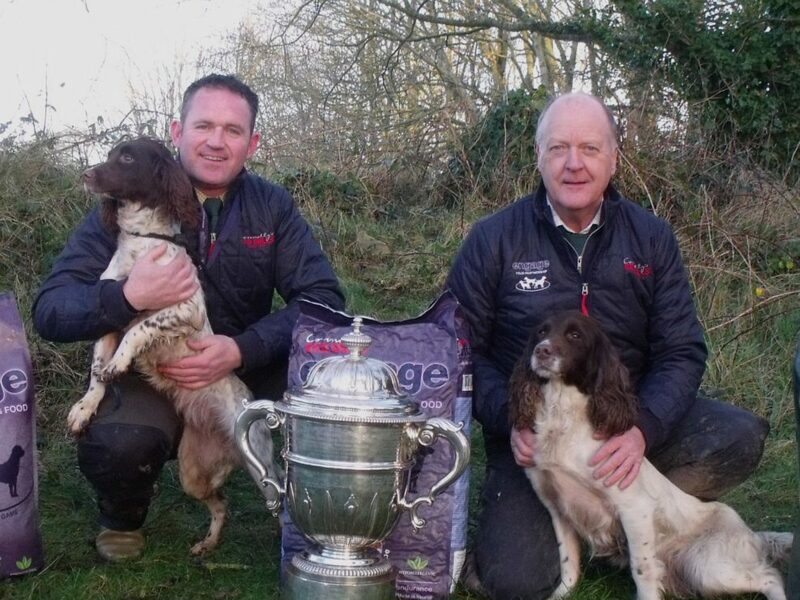 Spaniel Championship, Dec.2017(Ireland). Sally & Abbey are litter sisters, bred by Mick Walsh. Well done, what an amazing achievement. Congratulations from the members of The Irish Kennel Club.